Manufacturing facilities are places where productivity and health are at the top of every manager’s priority list. Keeping your workplace clean and sanitary helps maintain a steady business pace that’s necessary for powering the growth of any enterprise. However, that’s easier said than done. Industrial facilities often require the application of specialized cleaning processes without compromising the velocity of your operations. 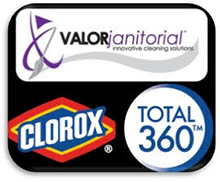 That’s where Valor Janitorial comes in. We’re an experienced provider of manufacturing facility cleaning services and janitorial services in the Dallas-Fort Worth area with thousands of cleanup projects under our belt. One of our core competencies is our ability to come into just about any manufacturing site, evaluate its cleaning requirements, comply with its unique needs and execute the action plan with minimal downtime to your workflow. Our willingness and ability to work with your schedule combined with our up-to-date knowledge and state of the art equipment enables us to deliver unparalleled effectiveness when it comes to keeping industrial spaces clean as can be.